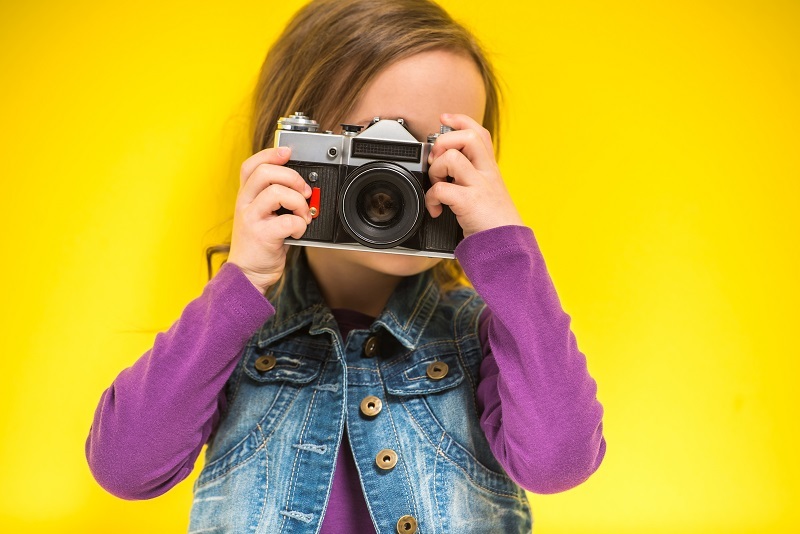 If you were to think about teaching both mindfulness and gratitude to students, photography might not be the first method that comes to mind. But mindfulness is, at its core, a state of open awareness and attention—and to feel gratitude, we first have to truly notice the good things in life. One can say photography is a physical manifestation of mindfulness. It is about stopping/pausing, observing, framing, focusing, and capturing/receiving…Basically, photography is about a relationship to the present moment. Relating to the present moment with joy and gratitude is a choice we can make. Slowing down, we can access joy by shifting the focus of our awareness to what uplifts us. CHM offered the mindful photography curriculum to fifth-grade teachers who were already involved in the mindfulness-based curricula study, which included both a ten-week training in the fall for them to establish their own mindfulness practice and an eight-week mindfulness curriculum for students in the spring. All six teachers who were given the chance to participate in the mindful photography training accepted, and five of them were able to continue with the project into a second year with new groups of students. The first week focused on students using the mindfulness concept of pausing to notice what was around them in the present moment, and then appreciating the visual elements of what they noticed, such as colors, lines, shapes, textures, light, and shadows. In the second week, students learned to use their own eyes like cameras. They noticed what caught their attention and practiced nonjudgmental awareness, realizing that different people may see the same thing differently. Then, in the third week, each student received a disposable camera and was specifically instructed to focus on photographing things that they felt grateful for and that brought them joy. In the fifth and final week, students reflected on the experience and shared their images. Each student received a small album to decorate and fill with their photos, thus creating a physical gratitude album that they could keep and look back on to remind them of their awareness and appreciation. Based on participant feedback, teachers and students alike seemed to enjoy the curriculum and find it engaging and meaningful, especially the connections with both mindfulness and positive emotions. “This project re-emphasized the importance of slowing down and being present in the moment,” said one teacher. Others noted the beneficial effects of seeing beauty all around us and cultivating gratitude. We often rush through our busy lives without truly noticing or appreciating all the beauty that surrounds us. As CHM found, mindful photography is a creative way to cultivate focus, deep seeing, and gratitude that both students and adults can carry with them into the rest of their lives. Emily Campbell is a Ph.D. candidate in education at UC Berkeley.